The previous weekend was very busy for me. But I did manage to play a bit, mostly because I made time for one event that I was looking forward to. Namely the Stay Frosty FFA. In general, it was ok, I didn’t have nearly as much fun as I did last time I joined in a FFA but at least I didn’t leave after an hour. I had about 20 punishers and 20 rifters set up for this. 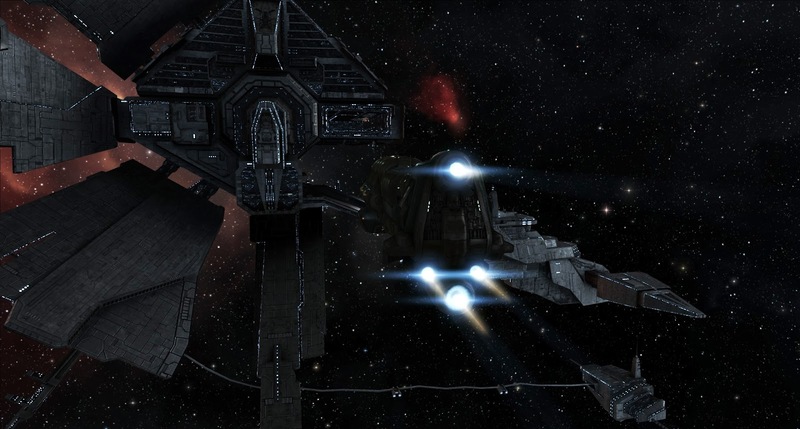 I sent them to the nearest Hi-sec station thinking that whenever I got podded I’d ship back. 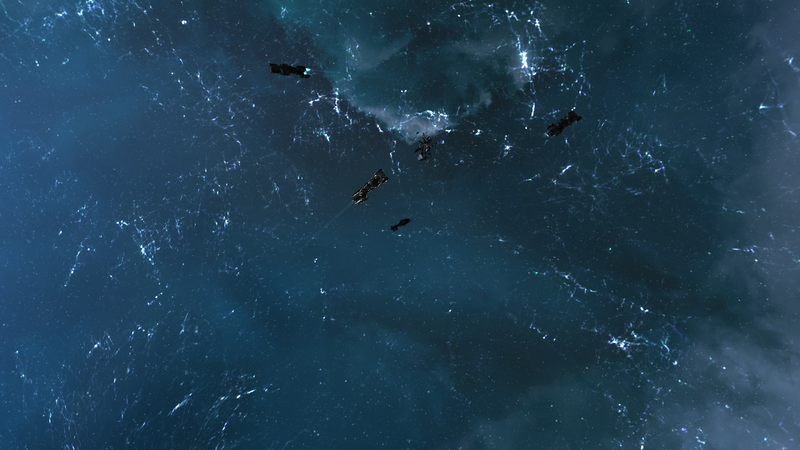 The rules of this event were quite simple, no podding, only frigates and no grouping/boosters. But seeing as this is EvE, these rules were broken quite a lot. As a solo roamer it was nearly impossible to get any KB’s. And that was extremely frustrating to me. I doubt I would have been as frustrated as I was if I had not seen as many groups as I did. Warping in an asteroid belt, thinking you’d get a few shots at multiple people, and immediately being scrambled, webbed and painted by Brave Newbie people was not that bad the first time. But it happened too many times to be called a coincidence. They were there to screw things over. 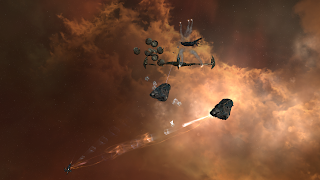 A bit after my third death at the hands of BNI I heard about a cyno being lit. Me, being the nosy capsuleer that I am, jumped straight to the cyno. 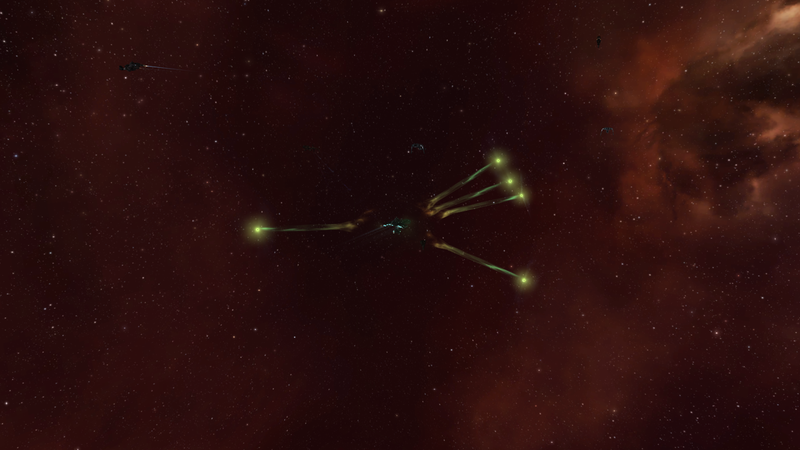 To be greeted by a bunch of BNI Thorax’, which made me lose both my ship and pod. No big deal, just upgrade the clone and get back to the fight. There were a few other gangs too, and after being podded for the 6th or 7th time I decided to call it. I spent some time with my gf watching the new episode of Dracula, and afterwards joined for the last half hour of the FFA. Which was pretty fun, this was what I wanted, going from belt to belt, seeing two, three people fight and just get in there and take shots at whoever was winning. No killing blows (I checked and the last one before the end said 4 hours ago) but it was entertaining. Even did a small bit of damage to Rixx Javix’ Merlin. Yay! My killboard has been spiced up a bit. And I lost a total of 28 ships. We all know that I’m bad in logistics. So bad in fact, that when I decide to create a certain amount of T2 items, and I finally calculated everything I need. I still forget things. Despite the fact that I actually use said calculation, have it sitting right next to me when checking the market and making orders. And yet every single time I forget something in my whole process. Last time I made about 1000 T1’s to build further into T2’s.. I thought I had everything, I had the materials, the product, everything except the one vital part that I didn’t think of at the time. I had forgotten to turn on my invention process for the BPC’s… You can imagine the facepalm I made at that time. Now we’re a while later and I’m happily chugging along in my manufacturing process, about 100 products get made every other day and I invent enough to keep the lines going. It’s only one character, 10 research and 10 manufacturing jobs, but it keeps me very busy. I can’t imagine what it would be like if I had multiple characters creating things. Can’t imagine what else I’d forget. So tell me, what is the one thing you always forget? Are there times you go to a trade hub with something in mind, and then come back empty handed, or with more than you needed, but not actually the one thing you were there for? The past week I’ve seen a lot of people try out EvE again. Friends of mine, people on forums I’m a member of. And most of them have absolutely no idea what’s going on. 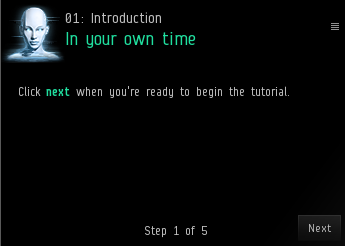 It made me wonder, is this because of the fact that the tutorials aren’t that good. Or is it because in this day and age, people don’t actually read the instructions anymore. The last time I’ve done the tutorials was over a year ago, I made a new character and decided to kill some time doing them. I can’t remember them being too hard to understand. But are they actually good enough to let someone understand what EvE is all about. Because in the end, the only thing that they do, is show you how to manufacture, how to start a mission and how to mine. They’re great because you get a bunch of skills and starter ships for your adventure, but then you just get cast into the deep end, with no lifejacket and a basic idea of how swimming is supposed to work. Which is why about 2 out of 3 people (might be more, this is just a random number I am making up so don’t use this against me) stop playing once they did the tutorials. It’s a shame though that so many stop playing because they don’t know what to do. Or because they’re waiting for that certain skill to finish training so that they can go out and have fun. Which is mostly the point where I tell them that they can have an equal amount of fun in a frigate as in a battleship. More so in fact due to the frigate being a lot quicker. The problem for our newbros is the fact that they have no idea what they can do. I explain them what I do in the game and tell them that I can help them if they want to go that certain route. But there are so many options to go to, that it can be a bit too much. Places like E-Uni are nice, but what happens when a newbie doesn’t want to be part of such a big corporation, what happens when he wants to do null but has no idea what the consequences of these things are? 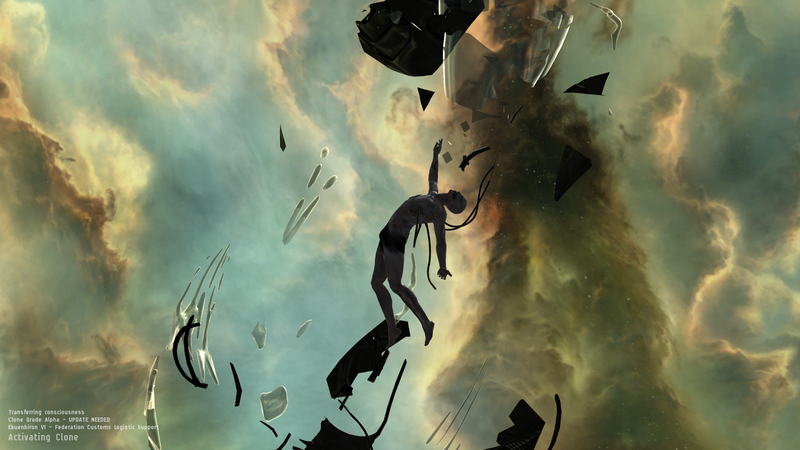 I remember starting EvE without a clue what I could do, I was training everything, because the tutorials never did explain to me that sooner or later, I will regret spending time in training a skill that I will not use. Makes you wonder though, how can you make sure, that people don’t stop playing. You help them, but where is the line for helping them. You don’t want this to be too easy a game, but you still want more people joining you in your game. So tell me; how do you do it? I haven’t been able to spend too much time in game the past few days. I’m feeling a bit ill, which is making me dead tired, which in turn makes sure that after work, I want to do nothing but lie in my bed until the weekend arrives. And it’s almost there! So that’s good. The hour or so each day I do spend in game, I spend updating my orders, my factory jobs and my skill queue’s. Although the last one is something I won’t have to watch for a while now seeing that all three of my active characters are currently training a 7 day skill. The month hasn’t fully started yet or Aura tells me the bad news, I’m in the red. What does this mean? Well, easy, Aura (the android app) has this handy feature that checks your ISK flow each month, by counting how much you earn and spend. It’s pretty simplistic seeing that it watches your wallet, but I like watching my wallet and it helps me because then I won’t have to do it. Since the start of the month I have spent 3.7billion ISK and made about 3Billion.. As you can imagine, those numbers should be reversed. They are a bit skewed though because they don’t count sell orders, and the negative ISK flow seems to mostly be coming from buy orders I put up. So I guess I’ll have to use jEvEAssets at the end of the month like always. I like how all of these little apps are making my life easier, I have my spreadsheets, but at least I don’t have to put everything on there. I think I might go crazy if I had to do that. Speaking of ISK flow.. I decided to do a good deed this month. I’m just assuming here that most of you read EvEoGanda, if you don’t, then go have a look, it has some pretty good content. Now after making said assumption, you should all know about the upcoming FFA. Seeing that a year or so ago (might be more, I am bad with dates) I had tons and tons of fun in an FFA made by The Tuskers, I decided to donate for this FFA. It’s a great way for newbies to have fun in PvP without actually sacrificing ships of their own, and it’s fun for old carebear newbies like me because I can actually try my hand at PvP too and I know where to find it for once! So it’s a win win situation. If you’re a newbie, or a vet, I urge you to join the fun and blow up some frigates. The more people the merrier. And I’m sure Stay Frosty will be grateful if you help in donating a prize or two yourself. As for now, I’m going to prepare myself for the weekend, where I’ll probably venture in a WH again in search of a kill.. Anyone taking bets on whether I’ll get killed or kill someone? I have spent most of my evening jumping around different systems on my ex-RvB alt, trying to get all of its assets in the same spot. Let’s just say that it’s taken me quite some time and I’m even close to being finished. I don’t like a mess in my assets window, on most of my accounts they are spread in about 4 or 5 systems. 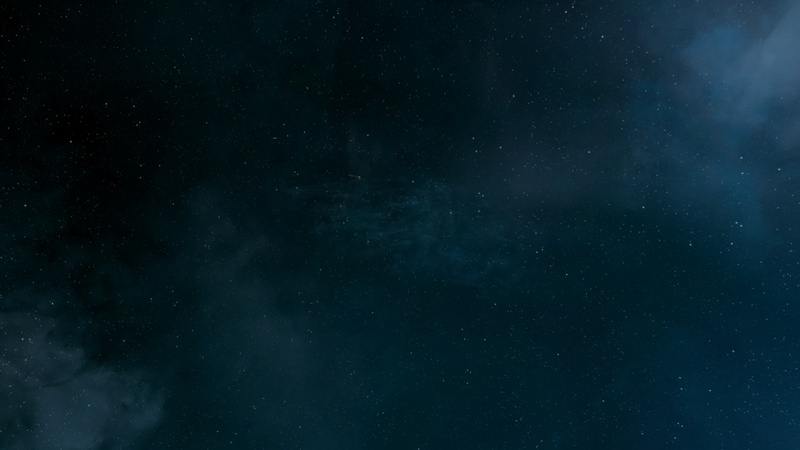 On that one alt, the assets are spread in 16 systems. Hence the clean up. I’ve been able to just trash some things, Noob ships that were docked somewhere because I once went into the station without a pod.. Ores that were so low in number that using my time to bother with them would actually make me lose ISK. 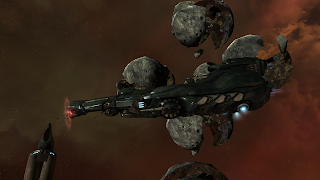 Most of the spread right now is between Jita and one of its previous bases of operations near Amarr, seeing that this character used to run L4’s, in a time that I can no longer remember. While “playing” I was checking EvEMon a bit and I couldn’t help but notice that I don’t have any skill plans, for any of my characters. I create one, and then I just ignore it and just wing it, deciding on the fly what to update the queue with. I really should stop doing this, not only is it inefficient, it’s also not really helping me into knowing what my characters can and can’t do. As the readers of my blog know, I flew a Dominix a while back. Which is a great example of me not knowing what I can do. Because when I was first asked if I could, I said no, until I was linked the fit and I noticed that I can actually use sentries, and that I can get into a Dominix. Now, that second part is just plain stupidity on my end because I fly a Machariel and have Gallente Battleship on V so I should have actually known better, but that’s beside the point. The point is that I have absolutely no idea what to do with my two combat characters and my industrial character. I don’t know what to train and I just pick skills at random that look good. Or I start working on the mastery and then just stop doing it altogether because I noticed another one that I liked better. I didn’t actually resolve to do anything special this year. But if I’m going to, maybe I should just start with making a skill queue and decide on a path to take. Last Thursday was the first time in my entire EvE career that I did two new things. 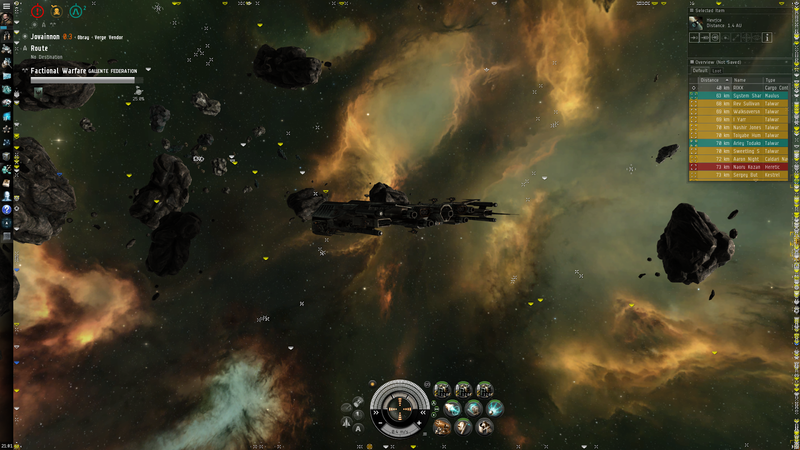 The first one was flying a Dominix with sentry drones, and the second one was using said Dominix in order to do sleeper sites in a C4 along with a few corporation mates. 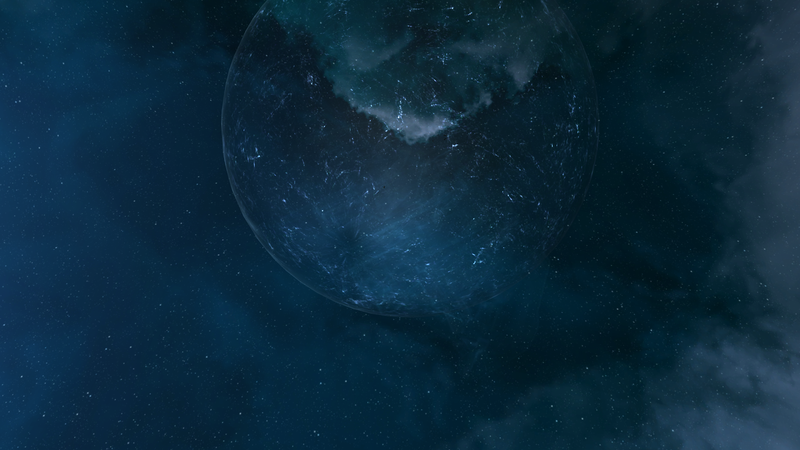 I had fun doing it, although it did require some of that patience you need as a wormhole dweller. 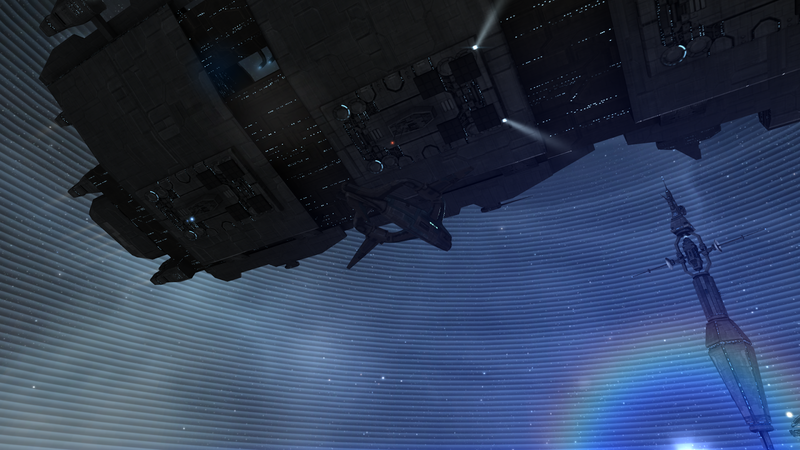 Not only did I have to make 24jumps out of high to our wormhole entry point, all of this in a Dominix. When I got there I had to wait a bit longer because we needed to collapse the high sec entrance, and then find a good, unoccupied C4 to play in. After three or four collapses we found one with 3 offline towers and decided this would be a good time to go do a few sites. It was about 00:00 here so I was starting to get a bit tired, but I really wanted to see how they worked. My job was pretty easy, seeing as I was in a sentry drone boat, and the rookie of the bunch, all I had to do was launch my drones, put on my hardeners, and have my drones assist one of the others. Which gave me plenty of time to look around. Or at least it would have given me plenty of time if we didn’t go through them so fast. I was amazed at the speed we were doing them. The veteran among us was too, this was the first time he had taken anything different than ravens along and our 8 sentries + 1 raven were shooting down the resident sleepers quite fast. I think we clocked down on about 10 minutes per site. So that was pretty good. I stayed for about an hour longer, providing over watch for the Noctis as he went about salvaging our loot and after that I jumped back to our own little wormhole, jumped into the POS and logged out, because I was dead tired and I had to go to work in the morning. When I logged back in yesterday, I decided to set up a few extraction planets. Seeing that I have the skills trained up to level 3, but never actually used them on this character. I checked the planets and decided to just put up 3 lava extraction ones, making it easier to just extract and make 1 kind of material instead of multiple, seeing that I tend to be bad at logistics. I had forgotten how easy it is to put up extraction jobs and let them run. 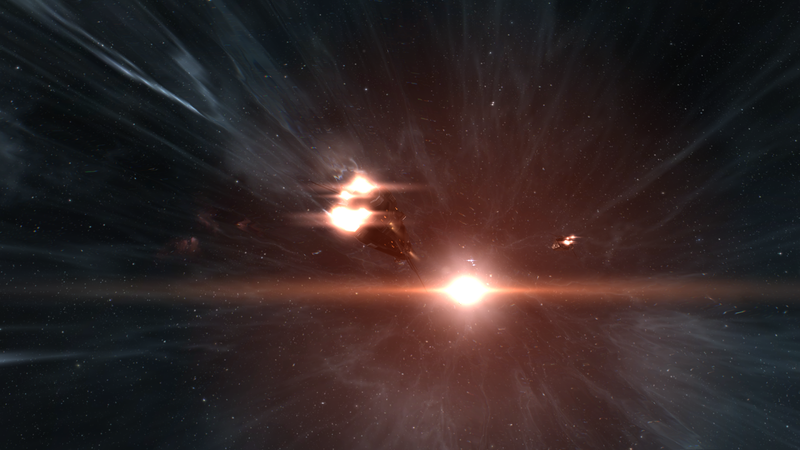 This is a nice way to make some passive ISK, and it will make sure that I have to visit the wormhole from time to time. Happy New Year to all four of you reading this blog! Now that we’re done with that, let’s go back to EvE. December was a quiet month for me, real life I’ve been busier than usual and due to Steam sales and spending more time with my friends and girlfriend, I was slacking on the game a bit. I did try out a few new things and I will be doing that some more in the New Year, seeing that I still want to go out in wormholes and see if I can kill some sleepers. I might even go check out null a bit, seeing that I have gotten an invite to join on a few roams with a guy I know that’s settled in Null. Industry wise I’ve been slacking the most, I didn’t feel like calculating the logistic side of manufacturing this month so I’ve basically done nothing more than checking if I could manufacture items from what I had in stock, so my lines have been shut down the past few weeks. I will change that this week seeing that I’m doing invention again. Speaking of which, I’ve been thinking about creating, or even buying a new science alt. One that I can use to invent more or just have my research chugging along, seeing that I only have one industrial character and a large POS that only I use, I figured that maybe having a second indy alt wouldn’t be such a bad idea. Trading wise I’ve been fairly quiet too. I made a bit of profit on some items and loss on others. 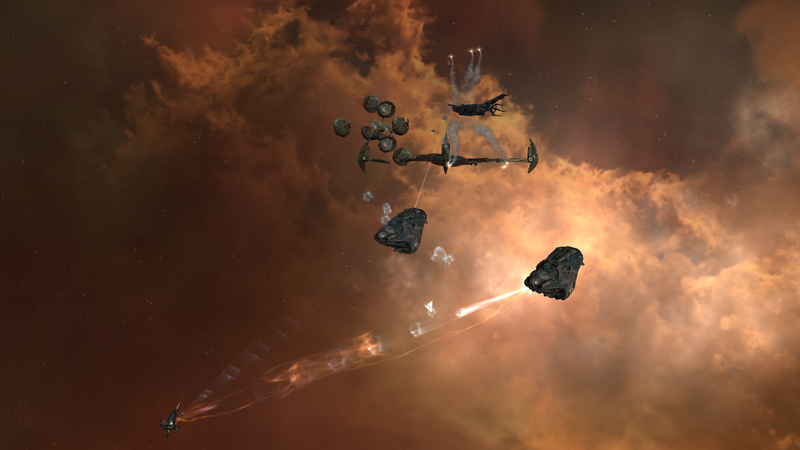 I’ve had a few 0.01 iskers send me angry eve-mails, which brought a smile to my face. And I’ve played the game trying out a few new items. My plan for this month is to actually do some research on more items instead of only selling and buying the items I use and manufacture. I might also decide to move to another hub with my trader just because I want to see the action there, it’s not the smartest idea to do so if I don’t have the correct standings, but I don’t have them in the hub I work now and honestly don’t care that much about it, I’m just trying to figure out the market a bit and make a small profit from it. Speaking of profit, according to jEveAssets and my Aura tool on android, my profit for this month was about 2b, so that’s not too bad for not doing much. I still have way too much ISK in my wallet though. I need to start investing this, I just need to figure out in what. As everyone knows, you have to spend money to earn money, and this amount is not earning me anything as long as it stays in my wallet. I’m starting this year with a total of 3 accounts and 6 Characters. I have 2 unused slots left and one of the characters is just a placeholder for a dummy corporation I created a few months ago. If all goes well this year, I will be filling these slots and I might even start dual training.